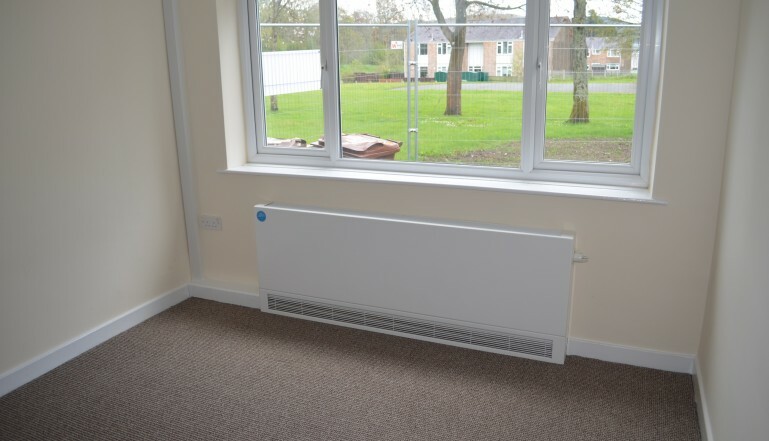 Leading radiator manufacturer Stelrad has supplied 155 of its low surface temperature radiators to provide safe and controllable heat in a refurbished sheltered apartments scheme – Cysgod y Coleg – in Bala – in in North Wales. This scheme is just part of an overall £136 million refurbishment project being undertaken by Cartrefi Cymunedol Gwynedd – CCG – and highlights the level of investment the social housing provider is prepared to make in its extensive portfolio of social and sheltered housing across the region. The work in Bala is being undertaken by main contractor Lovell Partnership, with the help of specialist plumbing and heating installers Aspect Plumbing & Heating. 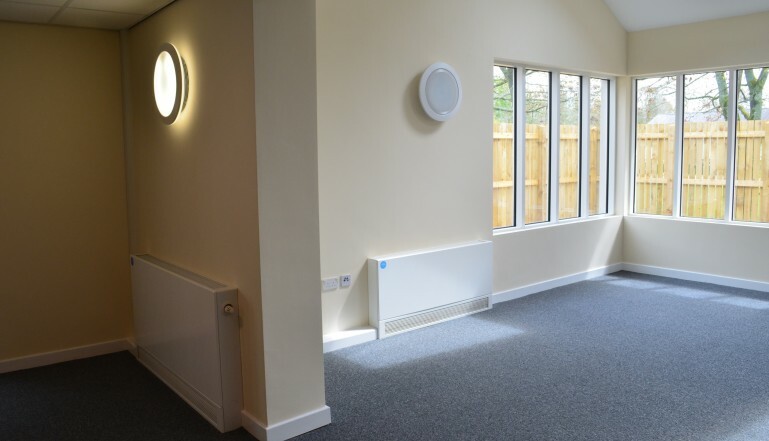 The selection of the Stelrad LST standard radiators was made by Engineering Design Services in Chester and these high quality radiators will be the means of sharing heat throughout the 28 apartments over two floors of this scheme and in the communal areas for residents use as well. The new heating system is driven by the latest condensing boilers and replaces an elderly and highly inefficient electric heating system that saw a large number of electric storage heaters throughout the premises. LSTs are specially designed to provide comfortable heat, but in a radiator whose casing never exceeds 43 degrees centigrade. This makes them ‘safe to touch’. 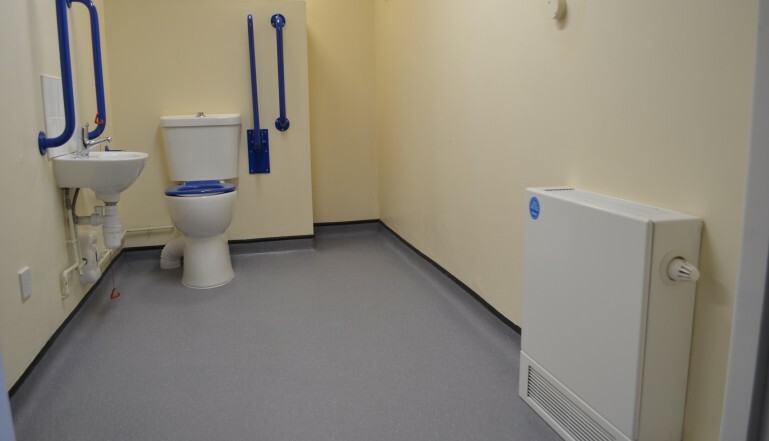 LST radiators are key where there is a need for special heat emitters that are ideal for safety critical environments – especially those that need to meet NHS Guidance for ‘Safe Hot Water and surface temperature’ – in hospitals, care and nursing homes, doctors and dentists surgeries as well as schools, nurseries and as in this case – sheltered accommodation. It’s a specification requirement of building designers and architects that the heat emitters in these buildings protect the young, the elderly and the vulnerable, who will live in or visit buildings such as these. LST radiators negate the risk of in particular, older people falling and injuring themselves on a radiator along with potential dangers from those with a visual impairment bumping into or brushing against radiators. Some elderly people have a reduced sensitivity to high temperatures and others simply cannot react quickly enough to prevent injury from hot surfaces if they inadvertently touch and come into contact with a conventional radiator, where surface temperatures may be as high as 75°C. With Stelrad LST radiators, the casing also covers the incoming pipework making sure all the heated surfaces are concealed and that any exposed surfaces stay at a safe temperature of no more than 43°C. Full details of the Stelrad LST range can be found on stelrad.com, you can call for brochures and information on 0844 543 6200 or email marketing@stelrad.com . You can follow Stelrad on Twitter @Stelrad or on Facebook at www.facebook.com/StelradLimited. Part of the new community room at the centre.